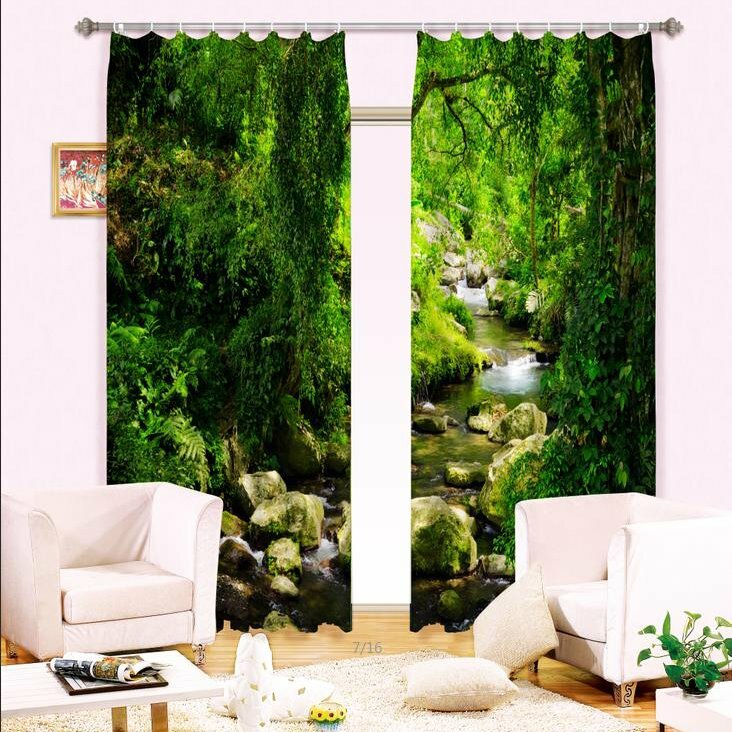 A small creek flows through green trees on the picture of curtain with strong 3d effect that can brings fresh air in hot summer and give you comfortable feeling when you install this curtain on your living room, bedroom, study and balcony. 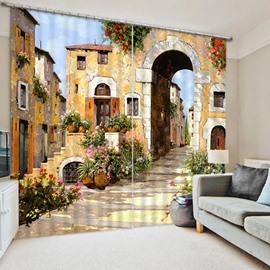 Made of high-quality polyester materials and skillful painting process, this curtain also has blackout and decoration functions. Meanwhile, it also can be used for a long time, and will never fading and pilling. · Wash Method: Machine wash cold, gentle cycle. 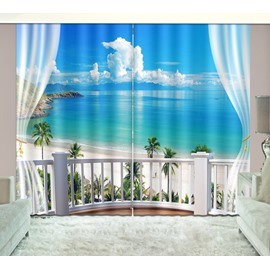 Water temperature should not exceed 90℉. That is how they look during the day with sunlight (directly or indirectly) coming through the window. 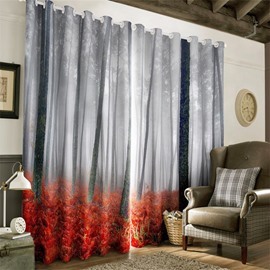 At night these curtains have a really nice look to them. I realized that is what I should have expected because of the way color works. We get color from light. 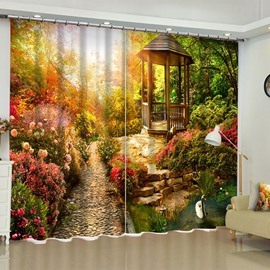 All things reflect color that is carried inside the light, so when the sun is shining through the curtains they will be washed out by all that non reflective color inside the sun light. 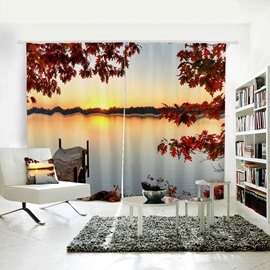 Everything I expected and more...They really brightened up my living room, in the afternoon when the sun hits them they give off a green tint in the whole room. Color is fantastic very bright and well made. I love them !! 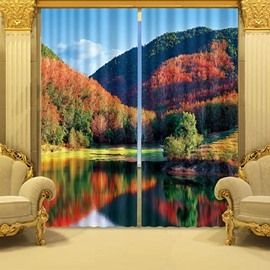 Good morning seller, thank you, i gave you 5 feedbacks for your best service, curtains are very beautiful , touches so soft, i love it,thank you.